Why did I read this book: This year, I rediscovered A Brief History of Montmaray and learned it was actually the first book in a trilogy. After rereading the first book, I eagerly dove into The FitzOsbornes in Exile, which I loved even more fiercely than its predecessor. Now, finally, the third book in the trilogy was released in the United States and I eagerly returned to Sophie’s account of the FitzOsbornes as they live through a world at war. So begins The FitzOsbornes at War, with the news of British Prime Minister Neville Chamberlain announcing that the country at long last is at war with Germany. Sophie FitzOsborne may be a princess, but she and the rest of her family have been in exile from their invaded homeland for two years. While the events at the end of The FitzOsbornes in Exile ended with a rousing declaration against the aggression of the Nazis, who had invaded and seized their homeland, finally England is at war. For Sophie, war is a frightening, unfathomable beast – and with her brother Toby (current King of Montmaray) and cousin Simon enlisted in the Royal Air Force, fear is an ever-present companion. At least for the first few months, nothing seems to be happening. Sophie and her cousin Veronica move to London and take up in a small flat adjacent to the grand Montmaray House, finding ways to help with the war effort – Veronica finds a position with the Foreign Affairs office, while Sophie takes a role in the Ministry of Food. When the fighting starts in earnest, food and everyday items are rationed, and bombs start falling on London, the grim reality of war sets in. And for Sophie, for her beloved family and dear friends, nothing will ever be the same. A far cry from the engagements and parties of The FitzOsbornes in Exile, or the smaller daydreams of a girl staring out of her ruined castle on the rocky shores of A Brief History of Montmaray, The FitzOsbornes at War is a more somber, but ever more powerful book. It’s an older book (Sophie is now in her twenties), but it also deals with the most grave subject matter – the crescendo of discordant war and fear to which the first two novels were building. Easily, this third and final novel is the best of the Montmaray books; the most heart-rending, the most resonant. And, as with the first two novels, The FitzOsbornes at War all hinges on voice. An epistolary series of entries, related in english to us but coded in kernetin, it is Sophie’s voice that drives the Montmaray novels, and it is her voice that makes this final act so resonant and truthful. Unlike, say, Elizabeth Wein’s Code Name Verity (which is also an epistolary novel of WWII, but far more extravagant, with characters that are spies and pilots in the thick of action and interrogation), Cooper’s is a book that examines the sacrifices and horrors, the tedium and changes to everyday life endured by those in London during the Blitz and subsequent years. Through Sophie’s journal entries, we see how she and Veronica prepare their flat for blackouts every night; we huddle with them as the bombs fall; we feel their keen edge of frustration and impotence as night after night they rush to the cellars to sleep, they queue for hours for a bar of soap. It’s a completely different kind of story of war, a quieter one, but one that Cooper masterfully relates through Sophie’s honest, engaging voice. As a heroine, Sohpie has grown so much over the course of these three books. The childhood dreams of her journals as a sixteen year old on Montmaray feel like a whole lifetime apart from this new older, wiser protagonist. She still struggles with her feelings and relationships with her other family members, but she has grown into confidence and self-acceptance; her narrative spends less time worrying about luncheons and the schemes of Aunt Charlotte, and turns to other, deeper reflection – relationships and love, yes, but also the roles women play in the war, of her own sexuality, of her own beliefs and self-worth. It’s not just Sophie that changes here, though. We also see a dramatically changed Toby – whose heartbreaking arc is a departure from the carefree charmer of the past – and a Veronica that comes to grips with her own emotions and attachments. Henry is a girl of sixteen, whose exuberance and rebellious nature remains unchecked, driving her to become expelled from school and to enlist, while Simon too becomes a much more serious and conflicted character as the war progresses. And, as this is a novel of war and struggle, not everyone makes it out alive. No one makes it out unscarred. There are so many other characters, too – the Stanley-Rosses, the Kennedeys, and more play a vital role in this third novel. You may recognize some of the names – Billy Hartington and Kick Kennedy, for example – who actually were real figures. 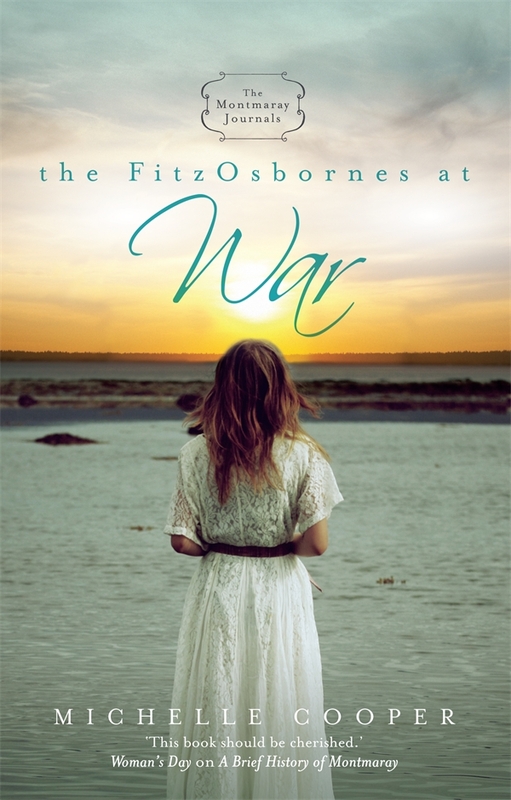 As with the first two books, The FitzOsbornes at War blends historical fact with fiction effortlessly. This novel, however, is far more extensive in breadth and depth of research; I’m in awe of how much research went into the writing of this book. (Don’t believe it? There’s an extensive author’s note at the end of the book explaining which elements are fact and which are fictitious – it’s a very, very long list.) Informative and thorough without being info-dumpy or preachy, accurate without being dry or boring, The FitzOsbornes at War touches on everything from wartime ration pamphlets to auxillary airforce responsibilities and stations. What else can I say about The FitzOsbornes at War? I loved this book. I loved it because it tore out my heart as I anguished with Sophie and her dear family and friends. But I loved it more because it gently restored that same heart, injured, bruised, bleeding, but hopeful – hopeful for the future of the FitzOsbornes, for Montmaray, and for the war-battered world in the aftermath of so much horror and death. If there’s one thing that The FitzOsbornes at War does, it gravely and truthfully shows that in war, there are no winners, no glorious shining victors. Everything changes for Sophie and her kin in this book, and through her frank, heartbreaking narrative, we observe the saga of a family struggling to survive in wars senseless, fickle path of destruction. This is a cathartic conclusion to a brilliant trilogy; a tale of endurance and hope and bitter change. 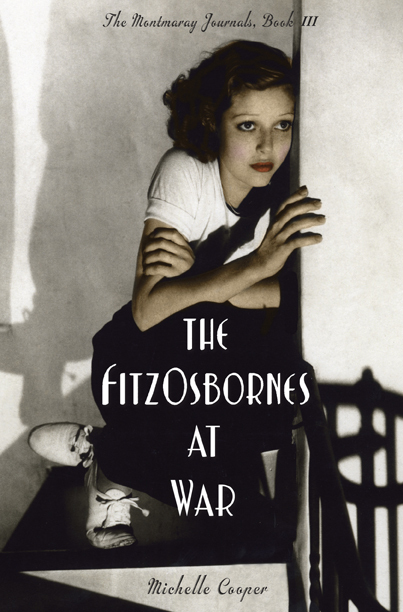 I dearly loved The FitzOsbornes at War, and will cherish it as one of my favorite reads in the years to come. One of my top 10 favorite novels of 2012, and a perfect, if heartbreaking, end to a truly amazing trilogy. And I end this review with an earnest plea: if you haven’t read the Montmaray books yet, please, please give Princess Sophia and her family a try. You will not regret the journey – though you may like me lose a piece of your heart to the FitzOsbornes along the way. Rating: 9 – Damn Near Perfection; and a 9 for the series overall. I recently read the first book in this trilogy and liked it a lot. I am hoping to start the second book soon too! Great review! Thanks for sharing your thoughts, I was gifted book 3 but hesitant to read it, now after reading your review I’ve decided to pick up the first two. Oh!! I’ve missed these!! How fun!! Oh, I’ve just started Book 2 on audio, though I read the 1st book. I didn’t read your review for fear of spoilers but did see that you gave it a 9. I have my request in for #3 and since I’m only the 4th person on the waiting list I should get a copy as soon as the library’s copies are processed. I think I found out about this series from your site, so wanted to pop by and thank you. I’m loving this family. London during the Blitz… I’m sold ! I just read “Black-out” by Connie Willis, which became one of my favorites, and I am very interested in stories taking place during that period. Thank you for this review! I am trying to read this, the last of the Montmaray books slowly, so as to not have to say goodbye! I love the characters and the details of time and place, the politics and social life of the upper crust. I am a librarian and have talked this book up to adults who enjoy YA lit. I hope to get some actual teens to try them. Did not want the series to end. And thanks to Veronica I am a much better debater now. When someone says something silly or challenges me I think “What would Veronica say?” and I am off to the races.